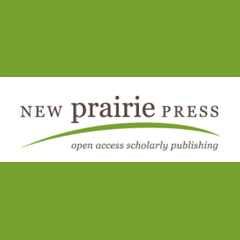 New Prairie Press offers a home for scholarly publications edited or authored by Kansas State University scholars committed to the principles of open access publishing. New Prairie Press is now home to more than 20 journals and special publications, 13 conference publications, and 17 scholarly monographs, including 10 open textbooks. "Kansas State University Human Nutrition" (FNDH 400) Flexbook by Brian Lindshield for FNDH 400. "Your Journey to First-Year Success: A K-State First Companion Textbook" by Brent Weaver, Mandi McKinley, Reagan Swank, Cydney Alexis, Tara Coleman, Jaime DeTour, Jessica Preston Kerr, Cheryl Rauh, R J. Youngblood, and Mariya Vaughan. "The Art of Being Human: A Textbook for Cultural Anthropology" by Michael Wesch for his ANTH 101 class. "Unmanned Aircraft Systems (UAS) in the Cyber Domain: Protecting USA's Advanced Air Assets" by Randall K. Nichols from K-State Polytechnic, with co-authors Hans C. Mumm, Wayne D. Lonstein, Julie J.C.H. Ryan, and Candice Carter. The book is designed to be an unclassified textbook for students in the Unmanned Aircraft Systems Cybersecurity graduate certificate program. Two of these titles, "Your Journey to First-Year Success" and "Unmanned Aircraft Systems (UAS) in the Cyber Domain," were made possible in part through the Open Alternative Textbook Initiative. The initiative is an application-based grant program that provides funding to K-State faculty and instructors to develop or adopt free alternatives to traditional print textbooks. In addition to these open educational resources, the journal of the Association of Teacher Educators-Kansas, The Advocate, is now being published by New Prairie Press. Established in 2007, the press has been part of bepress' Digital Commons platform since October 2013. Learn more about publishing with New Prairie Press at newprairiepress.org or contact Char Simser at cads@k-state.edu.